A storage solution with endless possibilities. 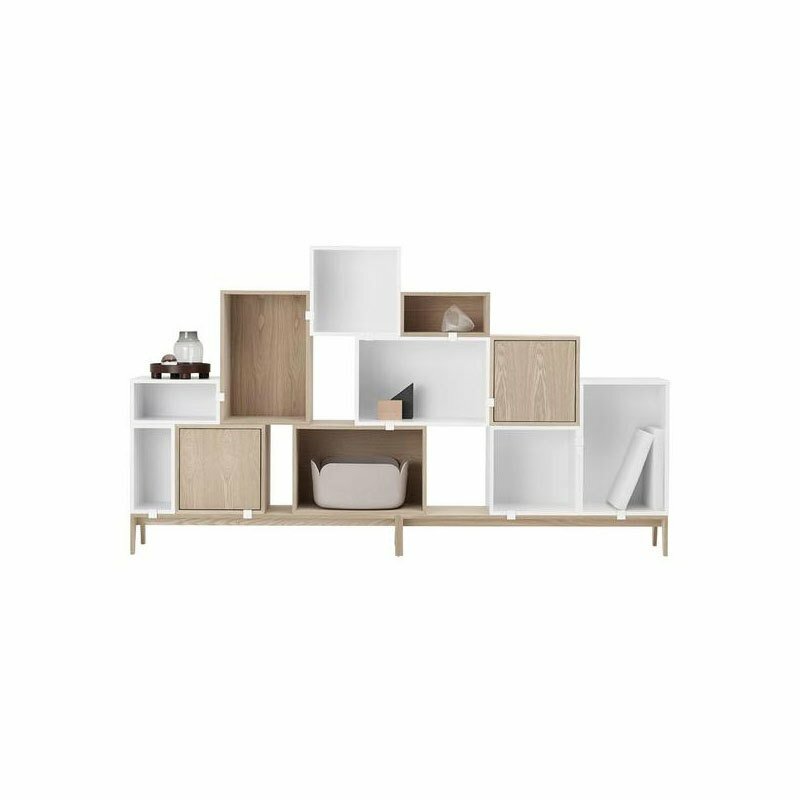 The modules can be arranged to create storage walls, room dividers or side tables. Modules with backboards come with brackets for wall mounting. A Stacked Podium is tested to withstand a maximum weight of 300 kg. Two matching clips included with each module except oak that comes with light grey clips. The modules should always be connected with Stacked Clips or be wall-mounted.